I’m going to be completely honest here, I only knew Tippi Hedren from her work with Hitchcock, so when I started looking into her most recent film appearances, I was surprised to see that she hadn’t been in any well-known movies recently. She did have a role in the David O’Russell film, I Heart Huckabees in 2004, and she also made a guest appearance on CSI in 2008, but for the most part, her roles consisted of TV movies or relatively unknown movies. I’m happy to say, however, that this doesn’t signal an end for Tippi. She’ll be appearing in the Billy Bob Thornton film Jayne Mansfield’s Car. While there’s no official release date yet, it does seem rather exciting due to its all-star cast: Thornton, Robert Duvall, Kevin Bacon, and John Hurt. 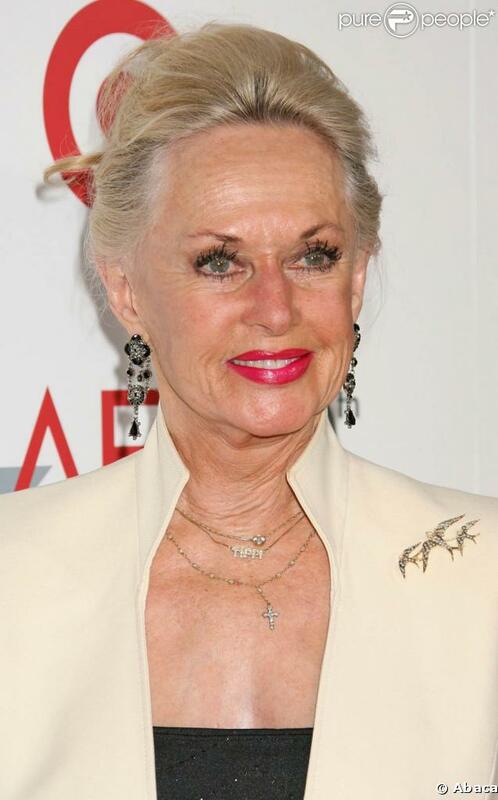 Hedren will also be appearing in the silent film, Return to Babylon, which revolves around the scandals that took place during the silent film era. The film will feature an ensemble cast including Jennifer Tilly as Clara Bow, Debi Mazar as Gloria Swanson, Maria Conchita Alonso as Lupe Velez, Brett Ashy as Fatty Arbuckle, and Stanley Sheff as Douglas Fairbanks, to name a few. Again, there hasn’t been any confirmed release date for this film either. There are several movies in the pre-production stage for Tippi, but looking at the director and the cast, it’s hard to say what kind of impact they will have on her career. From the way I see it, it really seems like Hedren had a tough time picking up her career after she left the world of Hitchcock, but hopefully, with her two movies coming out later this year, she can make a comeback. This entry was posted in Hollywood's Greatest: Then & Now, Posts by Josh Kaye and tagged alfred hitchcock, billy bob thornton, brett ashy, clara bow, CSI, david o'russell, debi mazar, douglas fairbanks, fatty arbuckle, gloria swanson, hollywood's greatest, i heart huckabees, jayne mansfield's car, jennifer tilly, john hurt, josh kaye, kevin bacon, lupe velez, maria conchita alonso, return to babylon, robert duvall, stanley sheff, tippi hedren. Bookmark the permalink.